January 22, 2019 8:00pm The Vancouver Playhouse, 600 Hamilton St.
Canadian superstar violinist James Ehnes brings his string quartet for his first visit with us. 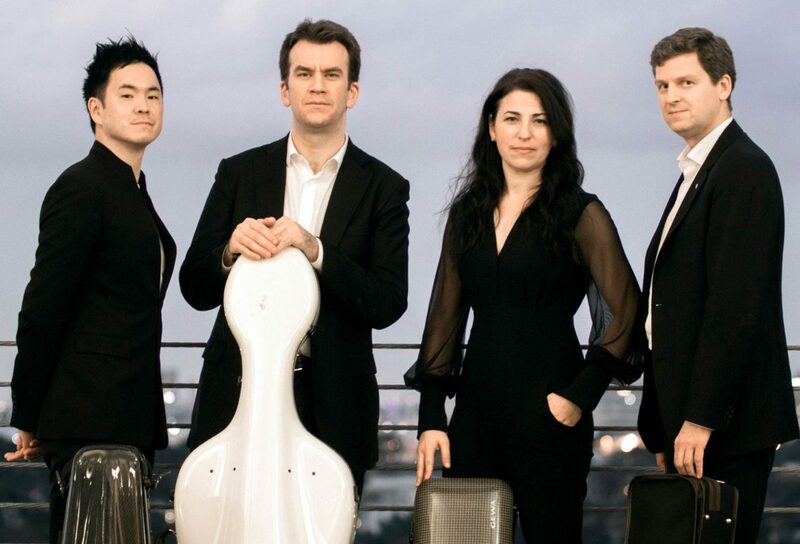 The “dream-team line-up”(Strings) of the Ehnes Quartet blends four renowned musicians: Ehnes and Amy Schwartz Moretti, violins, Richard O’Neill (who has played for us many times in the past), viola, and Edward Arron, cello. This refined, sensitive and expressive quartet offers a programme of rising passions, from Mozartian elegance to Schubertian lyricism, via the modern dynamism of music by Janáček.